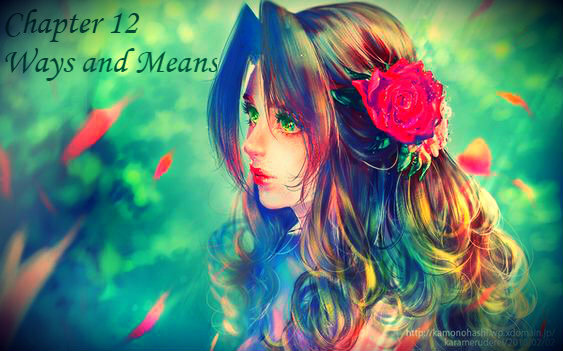 CHAPTER ARTWORK DISCLAIMER: THE FEATURED ARTWORK FOR THIS CHAPTER IS ENTITLED aerith AND WAS CREATED BY THE Extraordinarily talented hatori0322. THE PICTURE HAS BEEN SLIGHTLY ALTERED IN APPEARANCE AND TO INCLUDE THE CHAPTER NUMBER AND TITLE. ALL RIGHTS BELONG TO THE ARTIST. LINKS ARE INCLUDED FOR BOTH THE ARTIST’S PAGE AND THE WORK. Aeris must make her biggest decision since her rescue two months ago. Painting of Aeris/Aerith. She is looking wide-eyed off to the left with very red and slightly parted lips. She has a large red rose in her long brown hair. Her eyes are a huge and vibrant green. The background is lighter green. Chapter 12 Ways and Means is in the upper left corner in a slightly darker green than the background. Sephiroth wandered around the kitchen with his phone couched in his right hand. Heavy boots made no sound on the floor though his hair whispered against his coat. He could silence that, too, if he so wished, but there was no need for stealth now. During his hunt, he’d thought of his rose and how she slept safe and secure. He did not smile to not crack the mask, but emerald filled the darkest corners. No monster that evening could stand a chance against a righteous protector’s wrath, and the Great General only wished it was Midgar that burned within his sight. Not yet, the reckoning will come at its proper time. 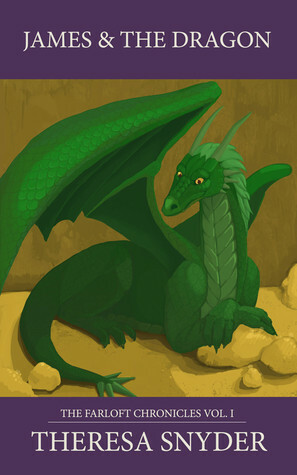 Farloft the dragon in instantly likable with his sound arguments and fascinating stories, although it’s unfair to ignore his nemesis, Laval’s, point of view. The wizard has very sound reasons for hating the dragon, though Farloft’s prior actions were based on even more past experience, nor could he have known the unfortunate outcome. 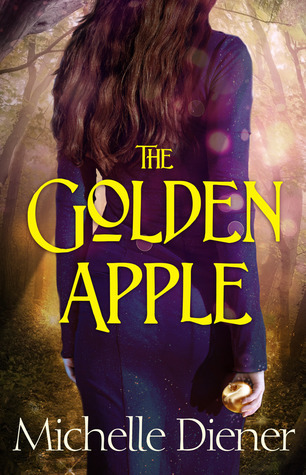 Note: Since this is a sequel there are spoilers for the prior book even in the blurb. Something to keep in mind if you haven’t read the prior books and don’t want to be spoiled. Second Note: TSN gets (US) political for comparison. 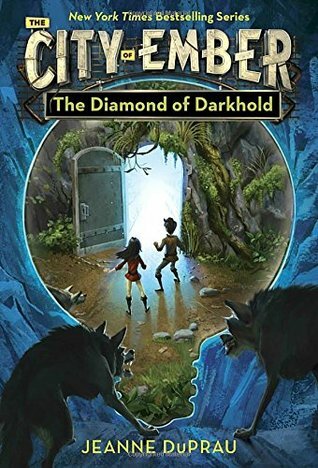 It’s been several months since Lina and Doon escaped the dying city of Ember and, along with the rest of their people, joined the town of Sparks. Lina knows they are lucky to be there, but life aboveground is hard. Instead of opening a can for dinner, they must plant and harvest their food. And while there was no sun or moon in Ember’s sky, neither was there rain, sleet, or wind. Now, in the middle of their first winter, Lin finds herself feeling homesick for her old city. In the fourth Book of Ember, bestselling author Jeanne DuPrau juxtaposes yet another action-packed adventure with powerful themes of hope, learning, and the search for truth. The final installment to the series finds Lina, Doon, and the other Emberites fully integrated into Sparks so they all live as one people, but times are hard, and Lina finds herself longing for the warm familiarity of her underground home. Doon’s discovery of the blurb’s mentioned book gives them a reason to return to the now dark and dying Ember where things don’t go quite according to plan. There are people living there, but if squatting were still a thing in this post-Disaster world then the Trogg family would be squatters.